We need a directory, or listing, of all the firms that can hire out Volkswagens (especially Beetles and Kombis) for weddings and/or formals etc. Every month the Club VW website receives probably 20 requests for wedding and social cars from strangers; VWs seem to be the fashion at the moment, especially Kombis. NO, the club does not hire out cars. NO, our members do not hire out cars. 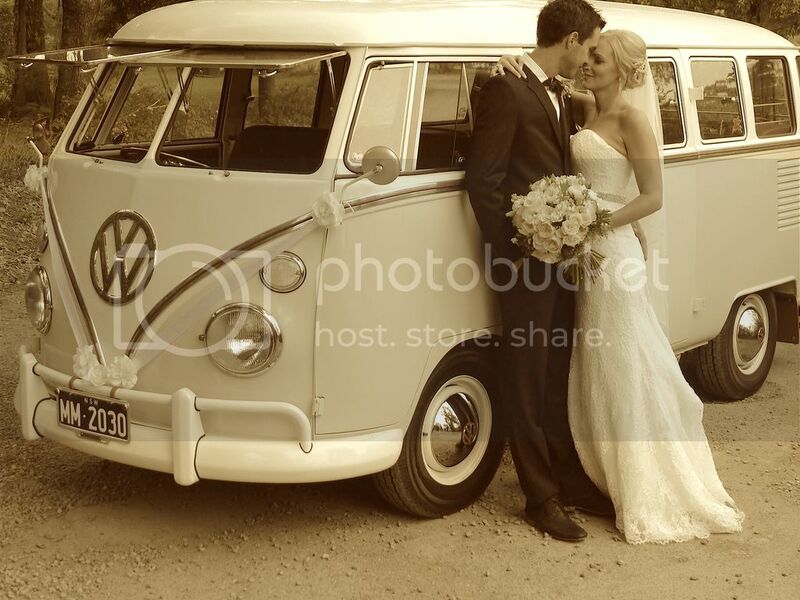 And NO, no-one is going to 'lend' you their VW for your wedding ! So where can we direct them? Here are the few I am already aware of - can you add any more? Anyone know any more I have missed? Mood: Where does this wire go? In order to maintain an excellent service and product for you ,we own and maintain our own vehicles. We and NOT a booking agent. Deluxe Kombi Service are amazing, with the most beautiful Samba buses you will ever lay eyes on!!! Mood: is what the cow did yesterday. "-Hannovermetalmadness-"(Infectious desease with no known cure). Nice guy, servicing Sutherland to Ulladulla. A feeling experienced by Volkswagen Drivers.